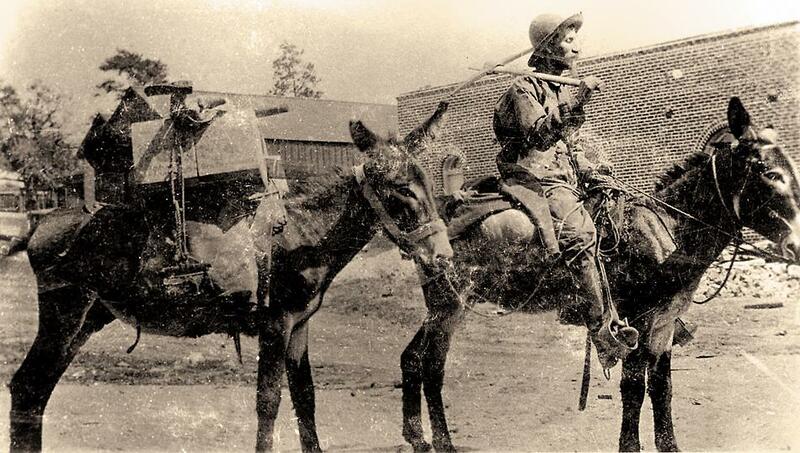 “War to the Death” Prospector William Porter Jones gets caught in an Apache War ambush. On the morning of June 1, 1864, a group of 100 volunteers gathered at King Woolsey’s fortified ranch house to form a raiding party to pursue Apaches in Tonto Basin. 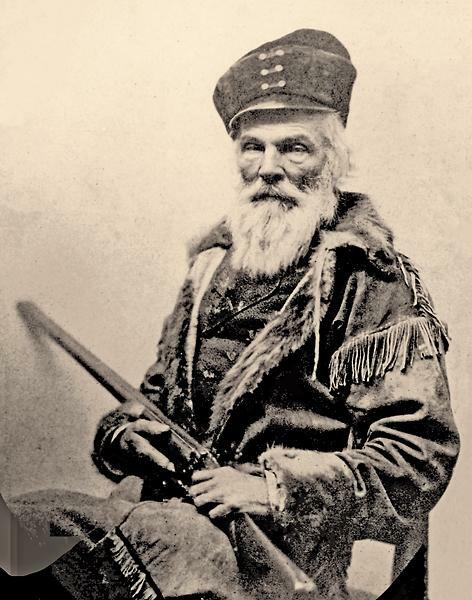 The Apaches had been harassing the isolated settlements of Big Bug, Lynx Creek and Agua Fria (present-day Humboldt) ever since Joseph Rutherford Walker and his party had first ventured into the area the prior summer. Most of the men lived in the recently-established Arizona territorial capital of Prescott, within the defensive range of Fort Whipple. 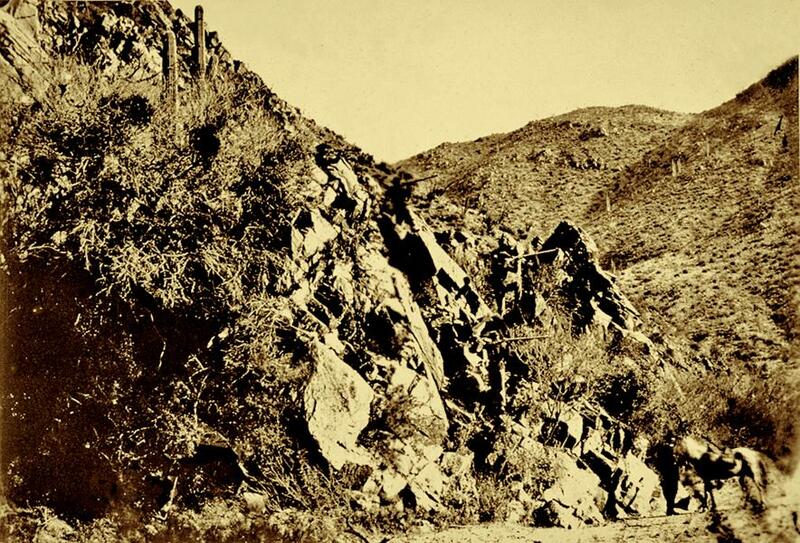 These prospectors, merchants, farmers and laborers had been attracted to the harsh environment of central Arizona after hearing of the Walker Party’s gold discovery along Lynx Creek. William Porter Jones was among those original settlers. His partners were joining the Woolsey party for the raid, yet Jones planned on returning to the Big Bug diggings. The Big Bug mining camp, organized in 1862 by John and Theodore Boggs, sons of former Missouri Gov. Lilburn Boggs, offered the potential of rich placer mining claims. After his overnight stay at the Woolsey ranch house, Jones looked forward to a peaceful ride along the Agua Fria River on his return ride to Big Bug (near present-day Poland Junction). Within the next 24 hours, the 27-year-old prospector from Missouri would leave his unique mark on Arizona history. Thanks to a fortuitous chain of events, we are now able to reconstruct Jones’s story, more than 150 years after his death. 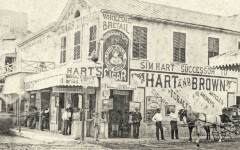 In 2010, his family donated a collection of nine letters to the Sharlot Hall Archives in Prescott; the letters had been discovered in the attic of his sister’s Missouri home in 1982. Six of the nine letters had been written by Jones, while three had been written by his friends. These letters are the only thread to connect us to “Uncle Will’s” travels out West. He began his 2,000-mile journey in 1858 when he left his hometown in southwest Missouri and headed to the mining camps of Colorado, California, Nevada and Arizona. During his six years of prospecting for gold, he witnessed the gold rush of Pike’s Peak, the boom years in California’s Grass Valley, the establishment of Aurora, Nevada, and the formation of the Arizona Territory in the mining camps of Prescott, Lynx Creek and Big Bug Creek. Even more, the letters portray an optimistic and loving son who struggled to overcome the financial, emotional and physical hardships associated with the life of a prospector. He never lost his optimism, sense of humor or concern for the well-being of his family during his six-year stint as a gold prospector. This early-day Arizona prospector gives an idea of the tools and accoutrements utilized by William Porter Jones at the Big Bug mining camp. 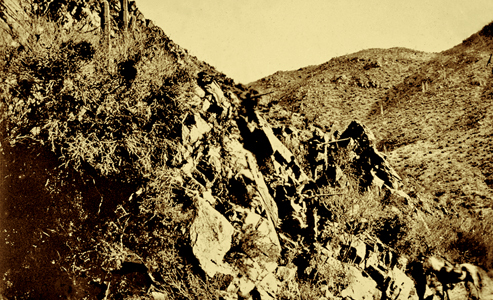 Gold prospector William Porter Jones understood well his exposure to hostile Indian attacks, like the circa 1870 Apache attack in Arizona Territory’s Cañon de L’or shown above. Theodore Boggs and three other miners had survived a famous skirmish with the Apaches in 1862, known as the Battle of Big Bug. 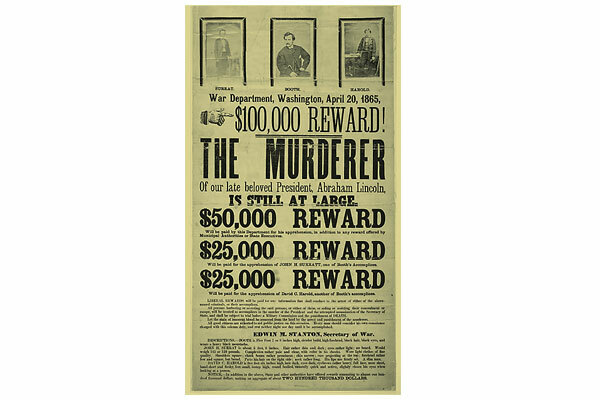 Joseph Lennon, Jones’s closest friend, was shot and wounded by Apaches while mining at Lynx Creek on April 25, 1864. The first expedition to explore Central Arizona was undertaken by the Walker Party commanded by Joseph Rutherford Walker (shown in this circa 1860 photograph by Mathew Brady). In May 1863, his party discovered gold at Lynx Creek, the news of which attracted folks to the area that would become Prescott. 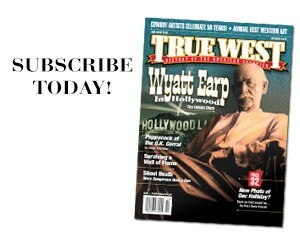 Time to Die Despite a handicapped left hand, Jack Harris felt confident he could kill troublesome gambler Ben Thompson. Wanted Posters Fonts are Actually Egyptian? 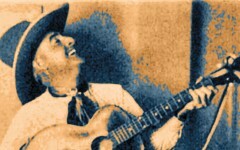 Singing At The Big Corral Arizona’s father of dude ranching was one of the West’s greatest early cowboy balladeers.